Where are we located? Click here! I'll try to picture and list what I've got as time allows....until then, please call or email for prices and availability. If you're not coming to pick up, be sure to include an address for shipping estimates. I'm more than happy to crate/ship large stuff by common carrier....but note that you do not see "free crating" offered. Doors ARE UPS-able ("Oversize" charges apply, unfortunately), when stripped of all hardware and glass. 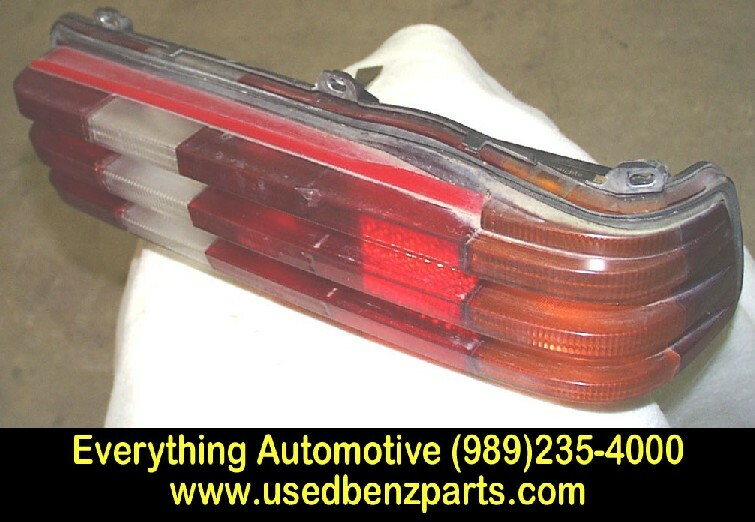 Delivery of complete vehicles and/or large component parts; "clips", "sections", etc. available at extra cost in a reasonable radius. Cutting panel "sections", clips, etc. is not a problem, however it's best to call so it's cut exactly where you want it. Windshields are "pick-up" ONLY. Door & side glass will ship no problem. I'm happy to email pics of anything you're interested in. 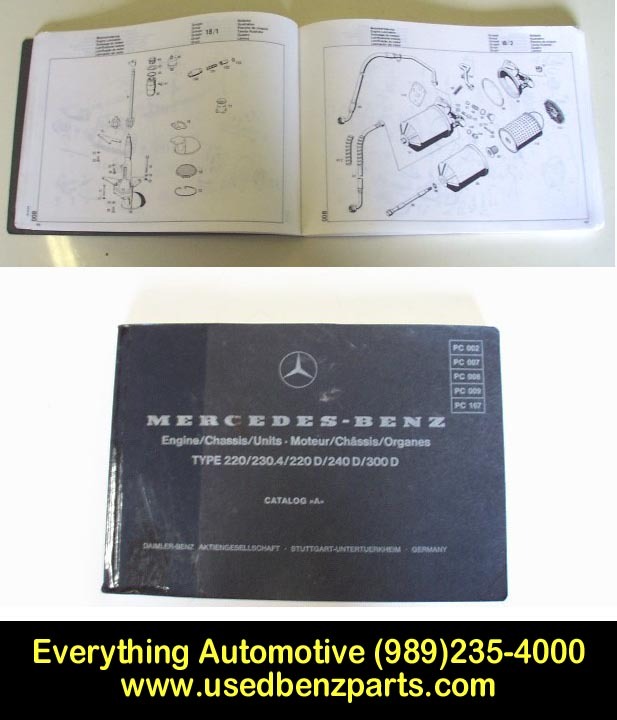 I've always got tons of W123 and W201 pieces (usually parting a few cars) and miscellaneous W126 bits. Call! I've got an amazing stash of W123 stuff. If you'll let it be worth my time, I'm happy to pull small/odd parts. I'm fussy too. 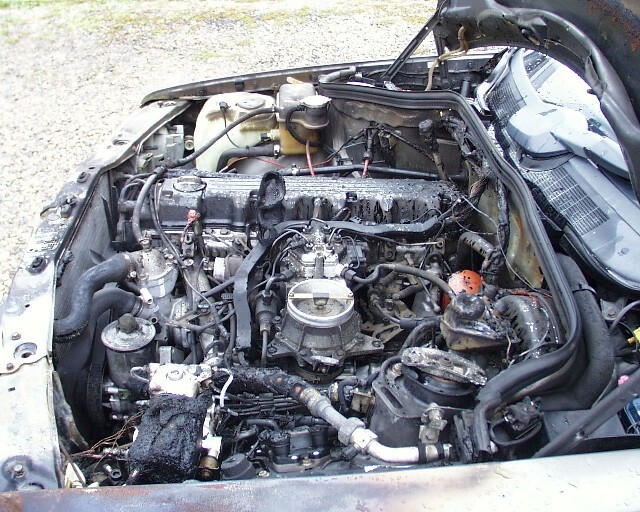 '90 190E 2.6/Auto Light/moderate underhood burn (arson....motor wasn't even running when it burnt....), NICE sheetmetal (except LFF and hood....warped from burn), exceptionally nice (parchment leather) interior, BOTH front seats power/no memory. 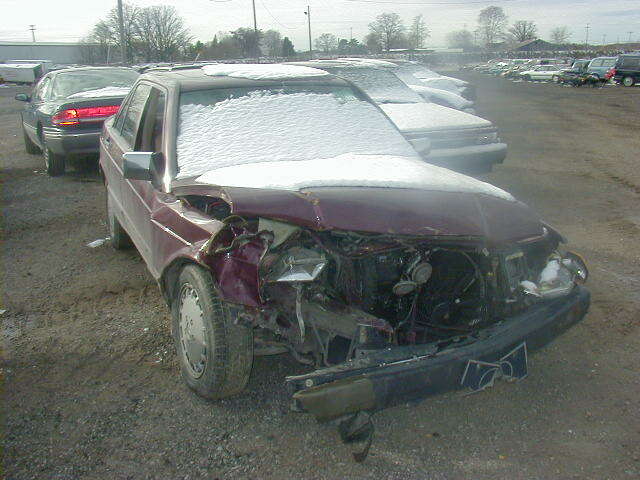 Someone needs an engine/transmission that'll be cheap (ie: make an offer) enough to gamble on. Air cleaner melted....but fire damage was not fuel-related. 190K. Cannot be sold as a complete vehicle or rebuilder...."bad" title. Good airbag, steering wheel, "clockspring", and controller. Incomplete-currently parting out. 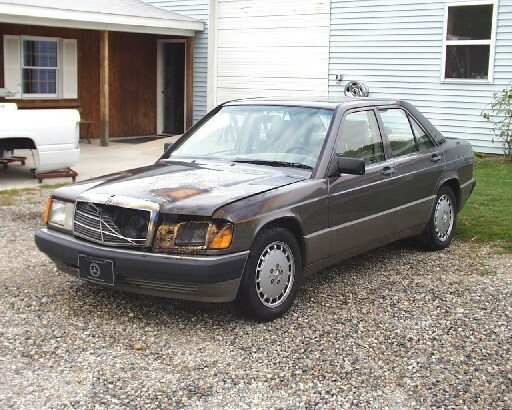 '85 190E 2.3/Auto, only 109K. Parts only. Solid old car w/NO collision damage. Nice burgundy MB Tex interior, will split. Good Indiana title. 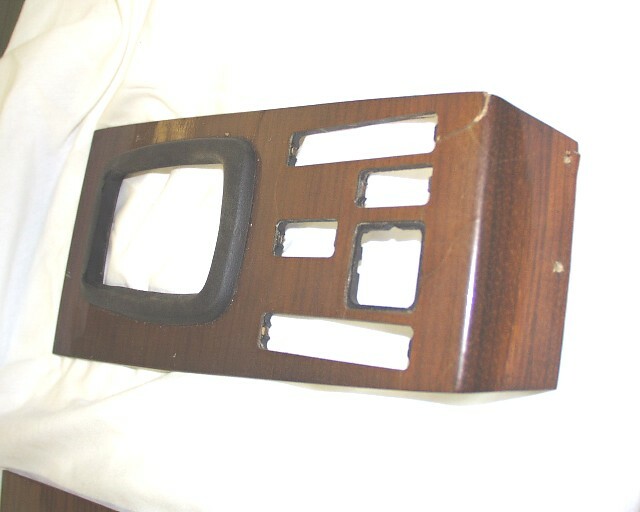 Click on the pic for more detail and pictures. Incomplete-currently parting out. 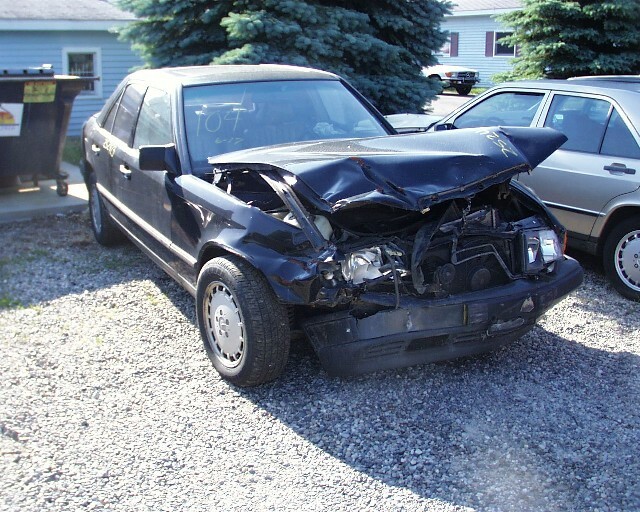 '87 190E 2.3/Auto, Hard hit rf, bag deployed "Clean" Michigan title. Good windshield and glass. 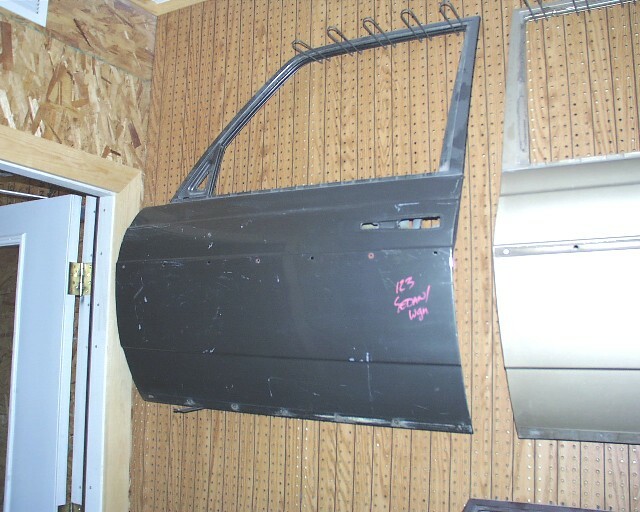 Cowl-back sheetmetal all good excepting minor damage to top front corners of front doors. Nice "rolling" rear clip. 5 good 15" alloys (with decent rubber, too). All trunk liners and hardware are nice. 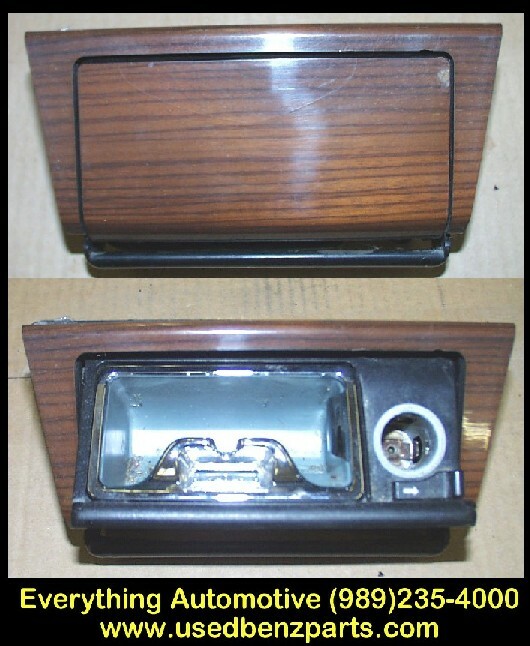 Power windows are all good, as is power (non "pop-up") sunroof. 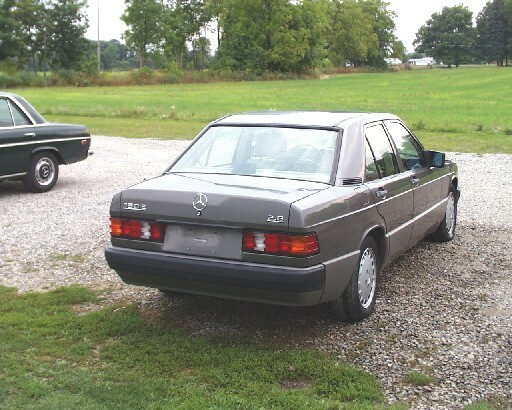 '87 W201 190E. 2.3, 5-speed, 154K, "Clean" Ohio title. Black, REALLY nice Palomino interior, brand-new P3000 Pirellis, missing radio. Hit RF, some parts available. Extremely easy fix......there's NO frame damage, just apron and core support. "Lot" driveable, runs well. 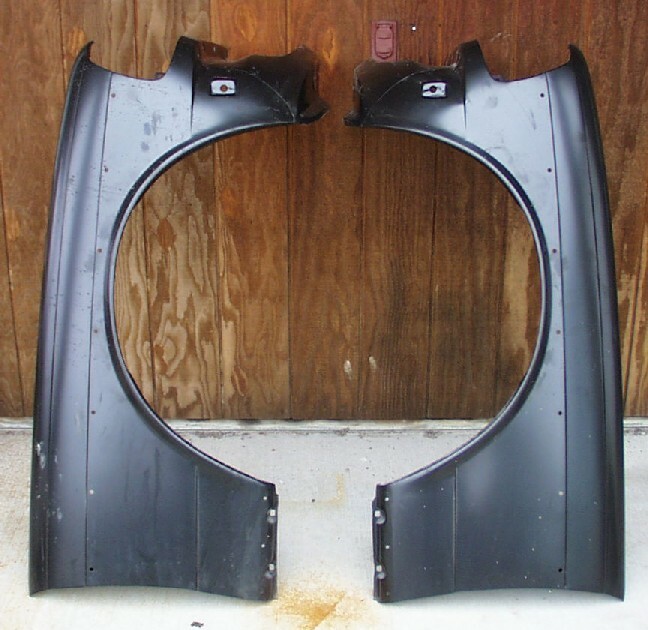 Parts or project. As usual, inquire with other needs. 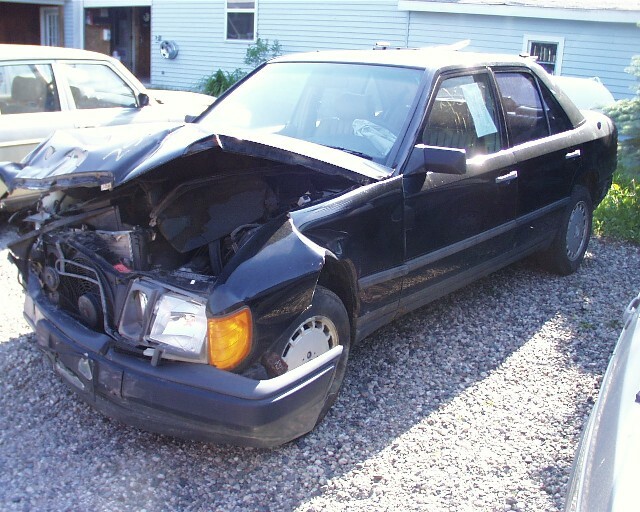 '89 300E sedan, black, (nice!) 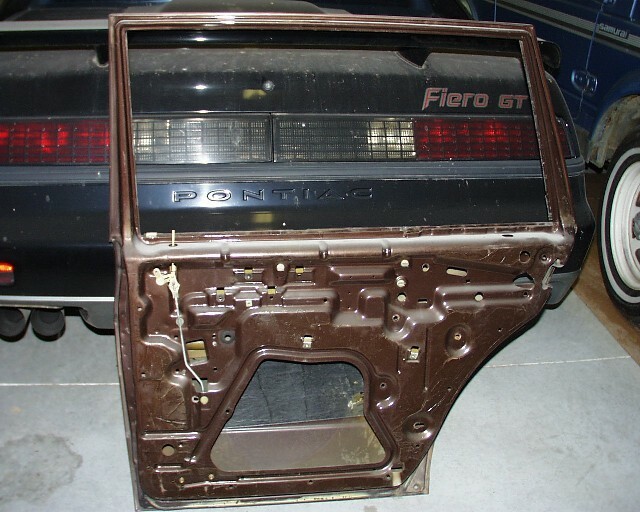 palomino interior, hit front, bag deployed, 164K miles. "Clean" Michigan title, but not rebuildable. Nice straight doors and "rolling" rear clip. Motor/transmission fine other than (typical) cracked oil pan. 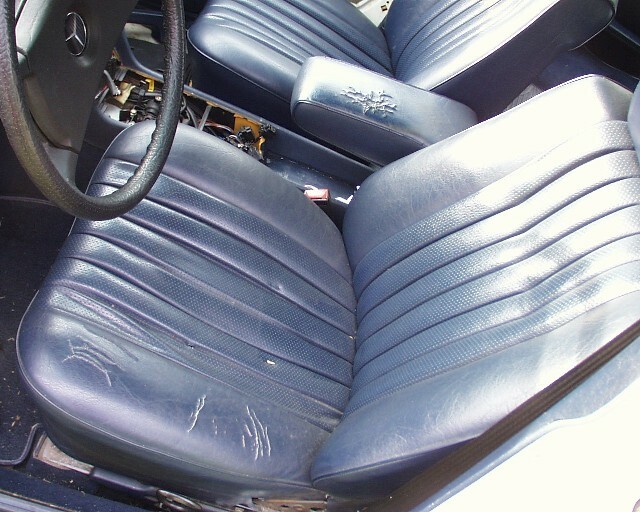 '74 450SL, complete,107K actual, runs/drives, and, goes like hell, but RUSTY....like....."watch the road go past under yer' feet" rusty. A nice, good-running EFI 4.5 drivetrain for that thrashed old SL that someone has. 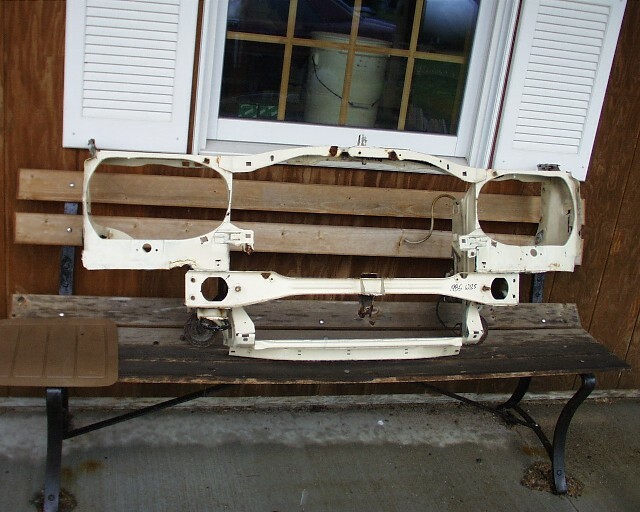 NICE near-new blue "German Canvas" top & top frame, good doors and deck lid and tons of small parts. Call or email with needs. 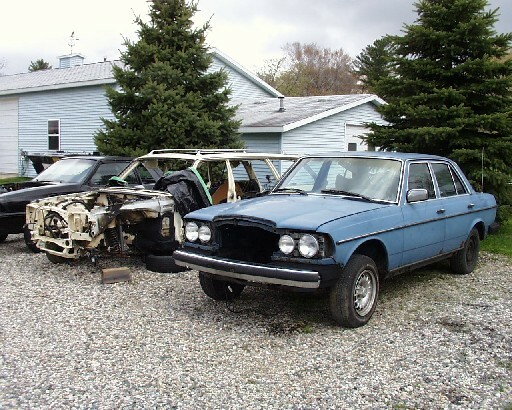 '82 300SD, 226K, Absolutely rust-free Texas body, 100% complete, good chassis, brakes, and rubber, 5 alloys, many updates, dead OM617 turbodiesel (broken timing chain and resultant MAJOR engine damage). 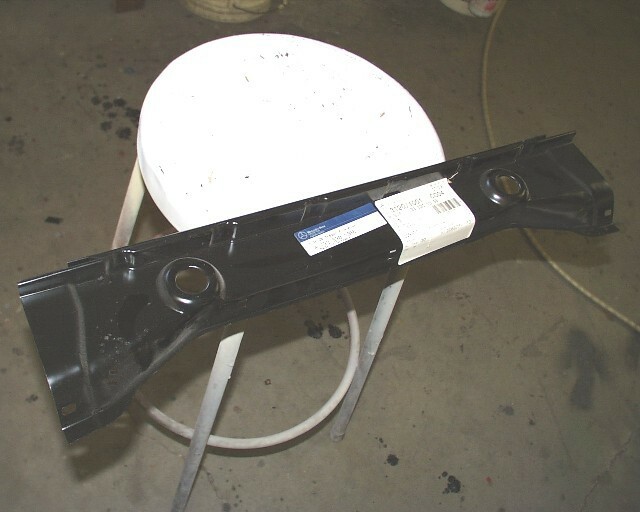 Parts or project. '83 300TD wagon, white, palomino tex interior, PERFECT "third seat", all drivetrain 100%, OM617 & automatic, high miles but extremely nice running. 259K, runs extremely well (I'm actually driving the car everyday as a "parts chaser"/beater). 26 mpg at 75 mph. Buy it and drive it home absolutely ANYWHERE. Your basic ugly old 300TD wagon....good tires, brakes, completely rebuilt front suspension, but cosmetically it's a toad. Lotsa' parts. $1500. 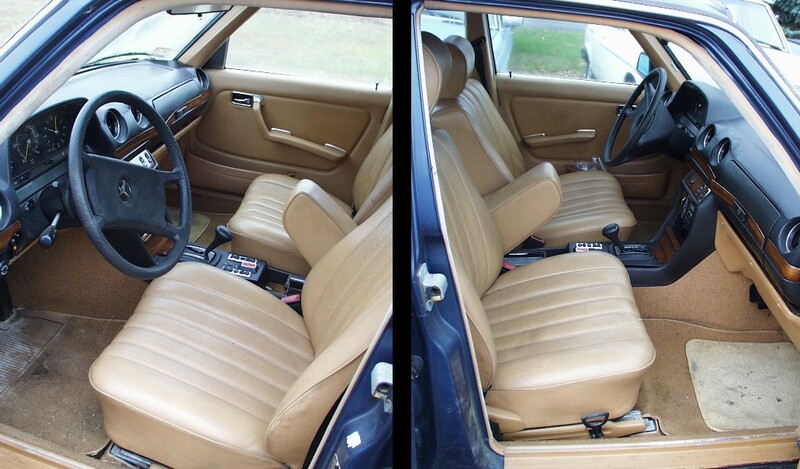 '81 300D Euro-spec sedan, green, palomino cloth, REALLY good-running approx 150K (non-turbo) OM617 & 4 speed manual. Oddball car, has ABS, small Euro bumpers, crank windows, self-leveling rear suspension w/pump on engine like a 300TD. Incomplete, but runs/drives. '78 240D/Auto (blue) The blue sedan (above) has some really nice blue (Tex) interior stuff in it. Carpets (loop), even. ...believe it or not. Some sheetmetal is "usable" (read cheap) but none is "nice". Has a good set of manual window risers to convert troublesome power units. Nice deck lid. No rust in hood, but it's wavy/dinged/tacky. Good heater/blower/evaporater. Good windshield and glass. '85 300TD wagon (sand beige) Not as picked over as it looks. A lot of the parts are shelved indoors. '85 300D/auto. sedan. white, (REALLY nice) blue tex guts. Engine/transmission SOLD. Some good sheetmetal. Interior is REALLY nice. Even the carpet (cut pile) is presentable with a shampoo job (rt. rear might have some stains). 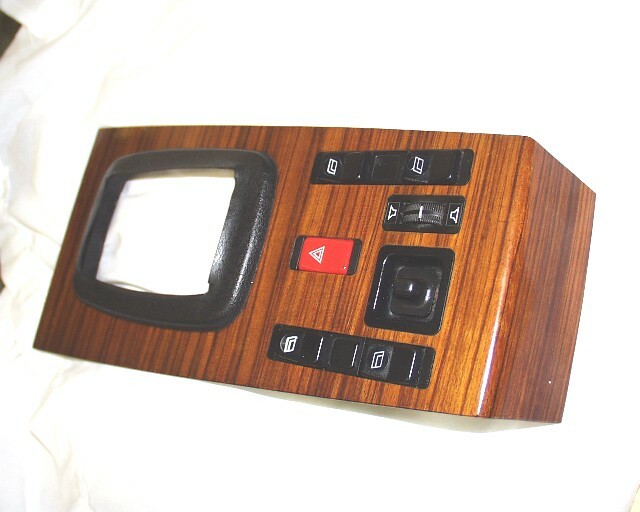 Wood is all mint, all upholstery, panels, etc. 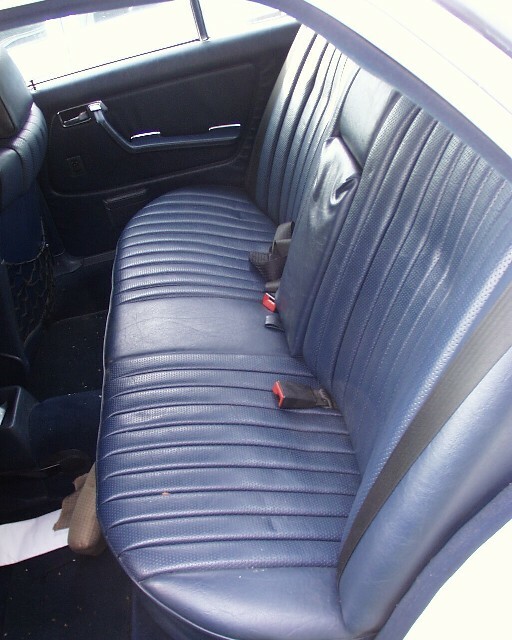 are perfect except for the following: Minor cracks on outside bolster of driver's seat bottom, and both front and rear seat armrests are damaged. Hood is perfect. Nice and straight, none of the all-too-common rust under the front lip. Hood blanket's even acceptable. Trunk lid is equally nice. Nice trunk carpet & liners. 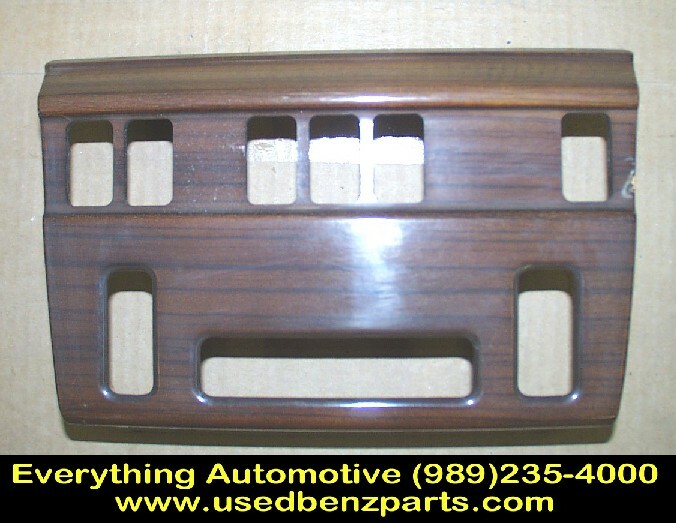 Click here to view another page of W201 interior trim & parts. 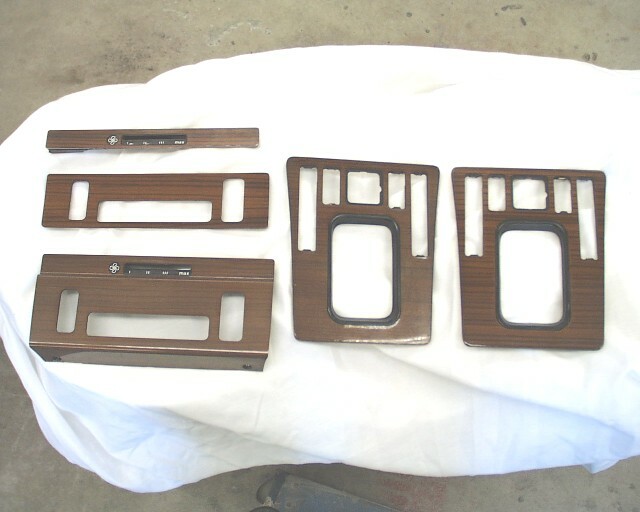 Click here to view another page of W123 interior trim & parts. 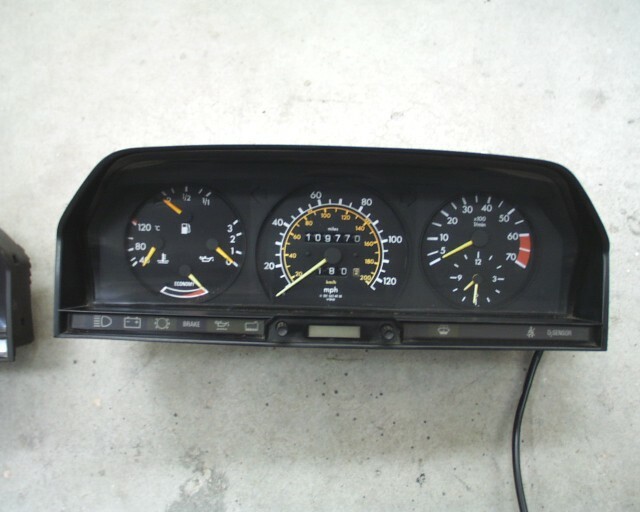 Click here to view another page of W124 interior trim & parts. '83 OM617 turbodiesel, 259K, runs extremely well, out of 300TD wagon w/leveling pump. In running, driving car. (I'm actually driving the car it's in everyday as a "parts chaser"/beater). 26 mpg at 75 mph. Buy it and drive it home absolutely ANYWHERE. Your basic ugly old 300TD wagon....good tires, brakes, completely rebuilt front suspension, but cosmetically it's a toad. 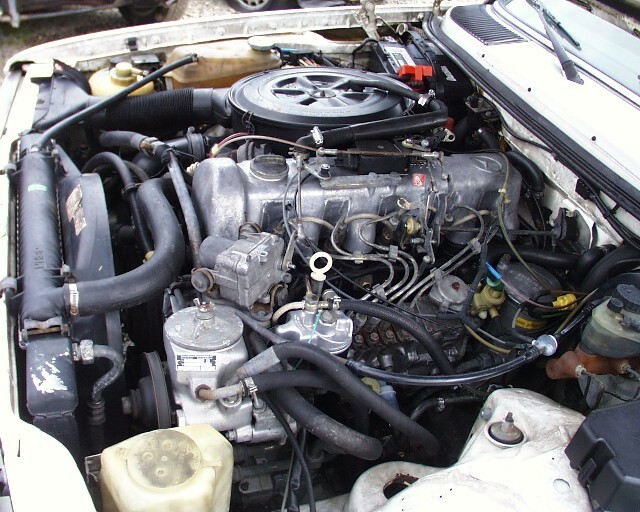 '81 OM617 non-turbo Euro-spec, w/leveling pump, runs really first-rate, 150K. Can hear run & drive. 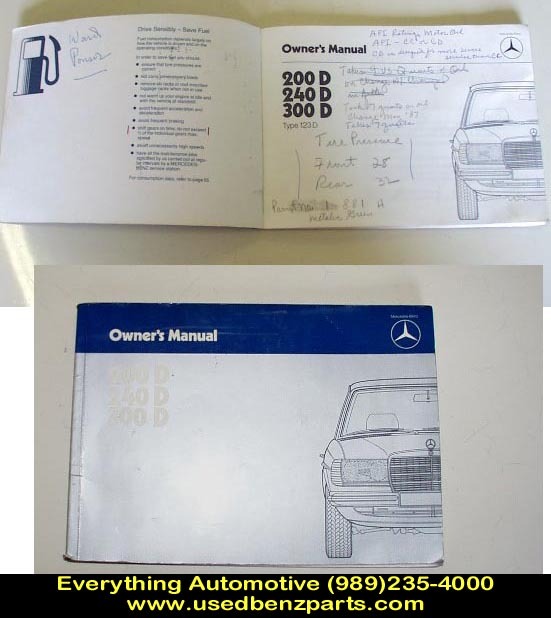 This would be an absolutely wonderful fix for that anemic and/or tired out W123 240D that someone must have. Here's every nut, bolt, screw and washer to do a BOLT-IN conversion to a 5 cylinder and a stick easily and correctly. 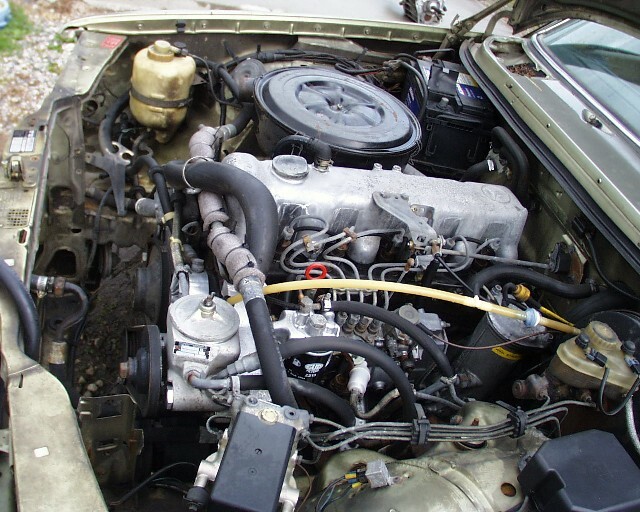 '74 M117 4.5 V8, "early"/'75 and older EFI, 107K actual miles, runs decent. In running, driving car. Lots of the common 6" wide Bundt wheels . Some of the (more expensive) 6.5 Bundts. Available as-is or refinished. 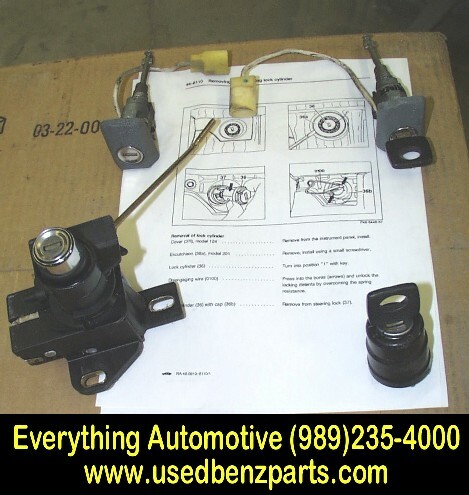 Power window/motor-regulator-riser assemblies, both W123, W124, W107 and W201. CHECK YOURS FIRST! Several (carefully bagged) sets of W123 ign.switch/front door handles/trunk lock with key. Sedan and wagon. 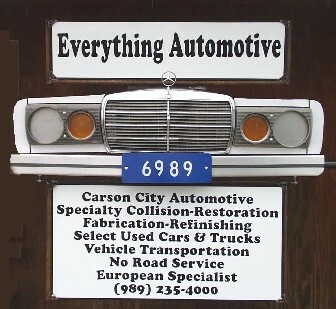 Lots of W123 suspension parts. 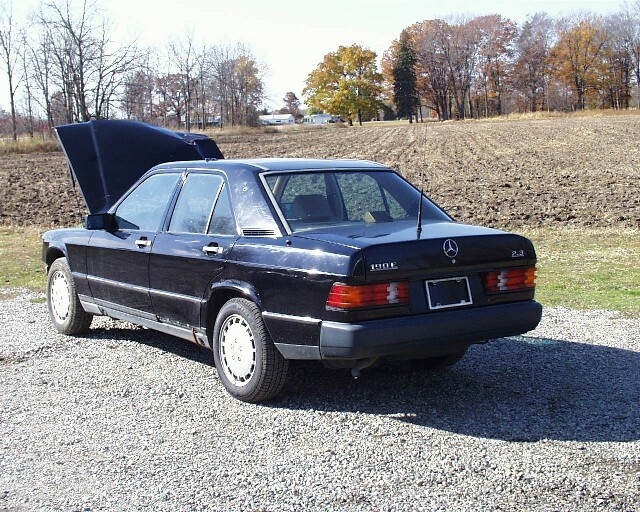 Much of it will interchange with the W126, also. Even some good 300TD self-leveling hyd. bits. 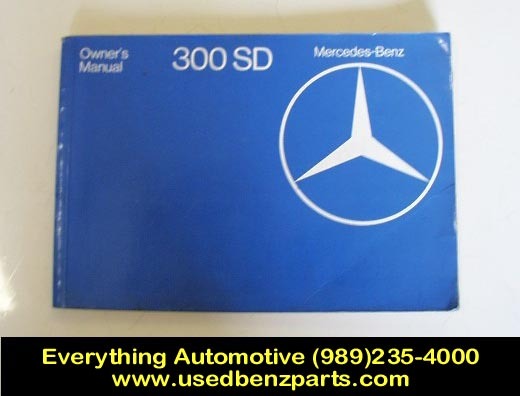 NOS Mercedes-Benz part, p/n A 123 620 1386. 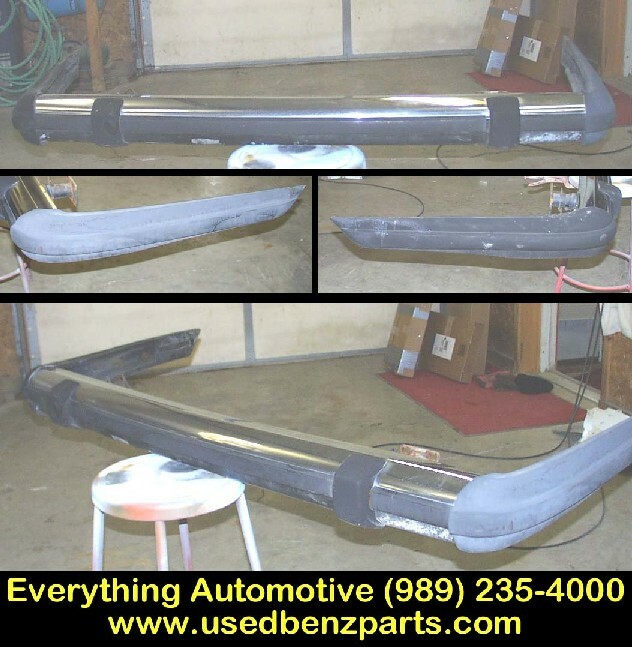 This fits all W123 chassis cars '77-'85. 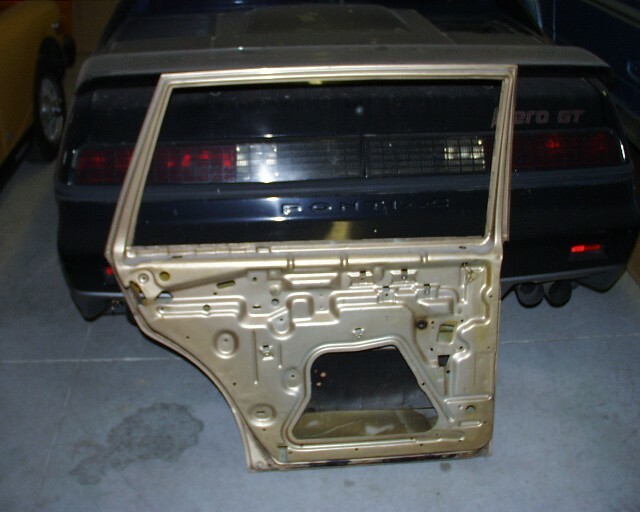 This panel fills in between the lower parts of the front fenders, supports the bottom of the radiator, and is usually rusted and/or mangled by curbs. As I remember, the MB dealer cost on this was well in excess of $60. It's yours for $30. 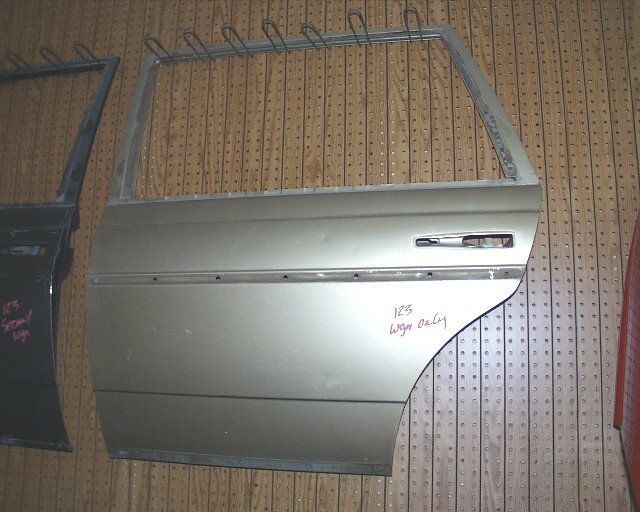 Several good W123 and W201 used windshields, and a multitude of side & door glasses, both sedan and wagon. Windshields are "pick-up" ONLY. Door & side glass will ship no problem. Lots of misc. 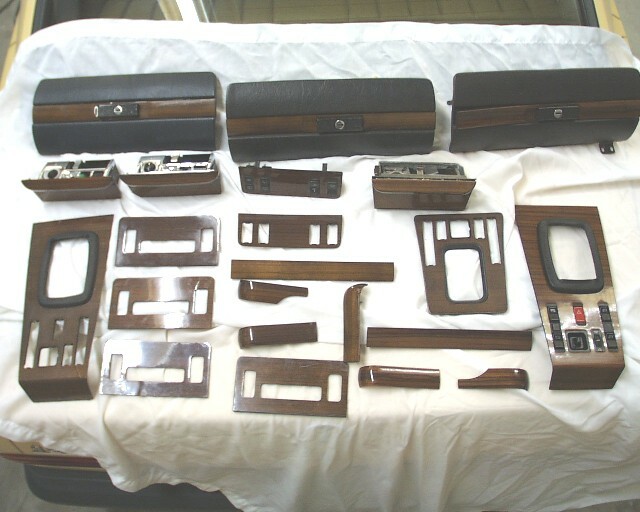 W123 (sedan and wagon) and W201 moldings, glass, trim, switches, relays, and electrical bits, etc. Instruments. 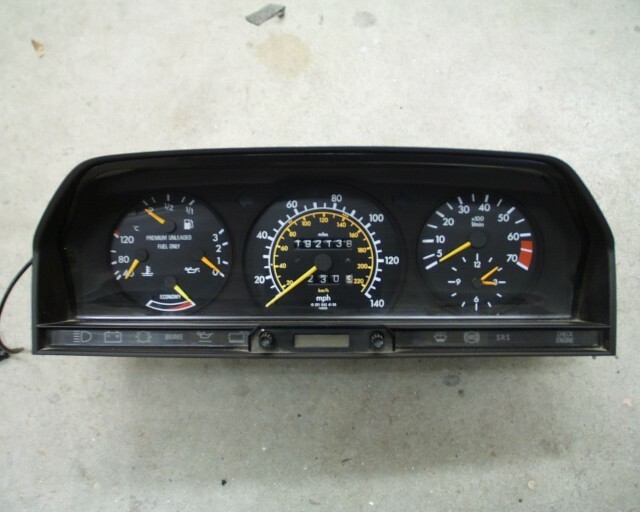 I've got pretty much all of the W123 variations; clock only, tach w/clock, mechanical speedo, electronic speedo, 85 mph/120mph, engine gauges (oil & temp) in metric and US. 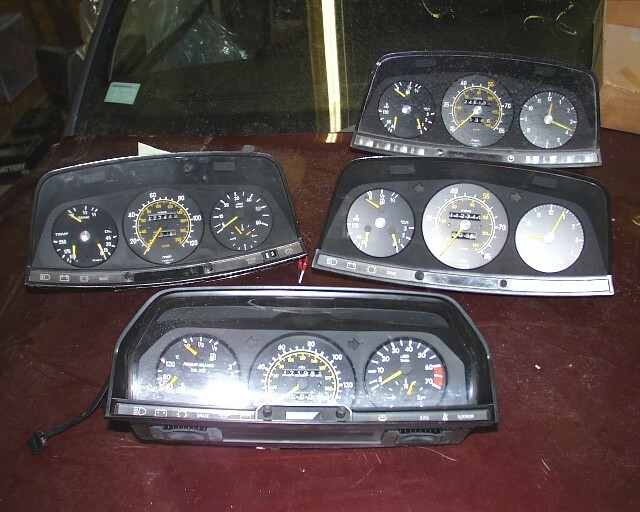 Most W123 instruments tested and available separately. Several NICE W201 complete clusters, also. Several good used injection pumps for OM616 and OM617 sealed and stored "wet". $150 each; injectors $20 ea. W123 and W201 outside mirrors R & L, no manual R side; only power. 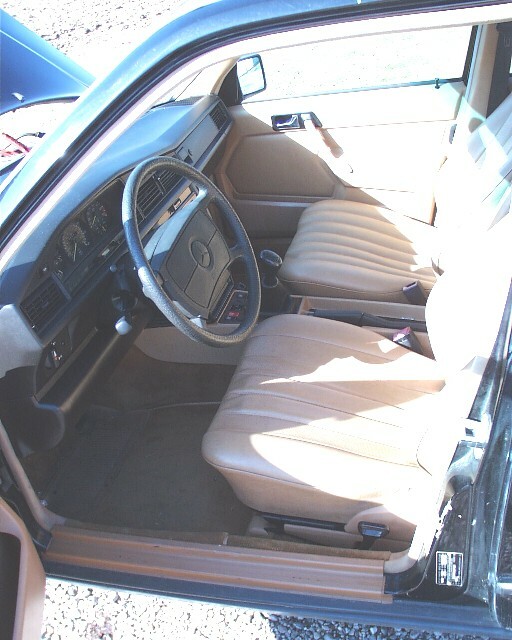 Some W123 sedan and wagon Palomino interior misc. parts. 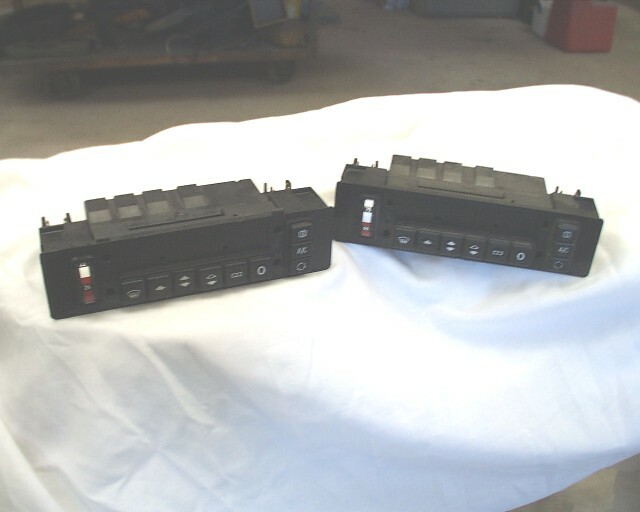 Climate control "head units", most relays, servos, etc. 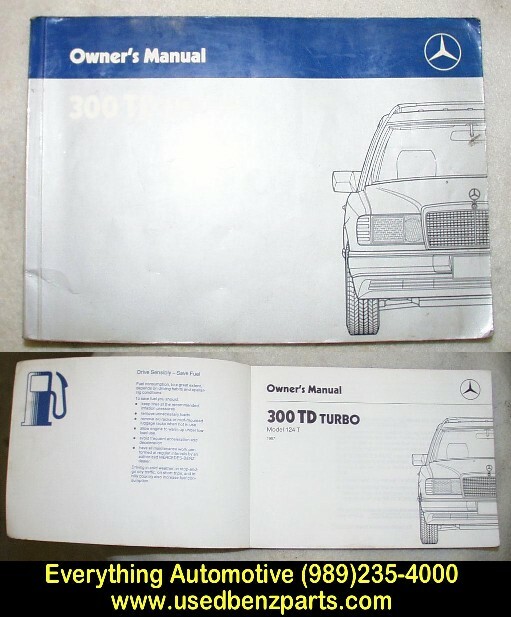 for W123 & W201 (both '84-'86, and '87-'90 styles). 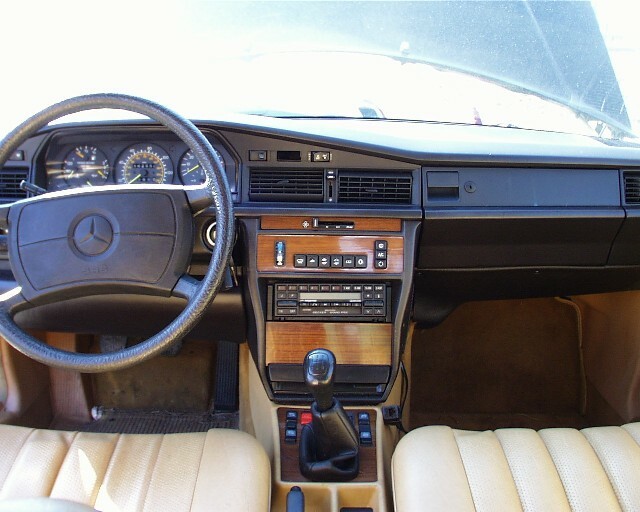 W123/W201 interior wood. No 100% flawless W123 consoles. Decent, but not "show". Currently, this is the best one. $50 While we're on the subject, eat your heart out, W123 fanatics. 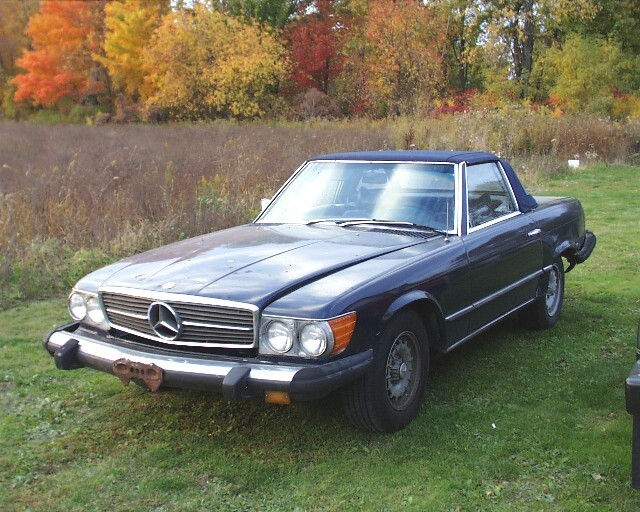 Here's the (not for sale) one for my own W123 restoration. Note the switches, too. Click here and weep. RUST-FREE Arizona W123 doors. Stripped. No hardware, but UPS'able. 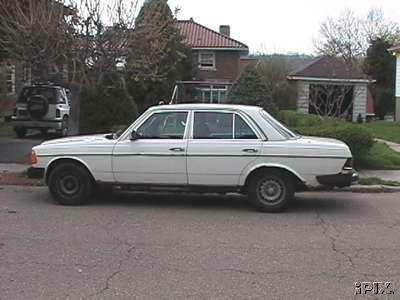 W123 Wagon ONLY RR $250 Buy BOTH rears for $400 and pick 'em up....or $500 and I'll pay UPS. 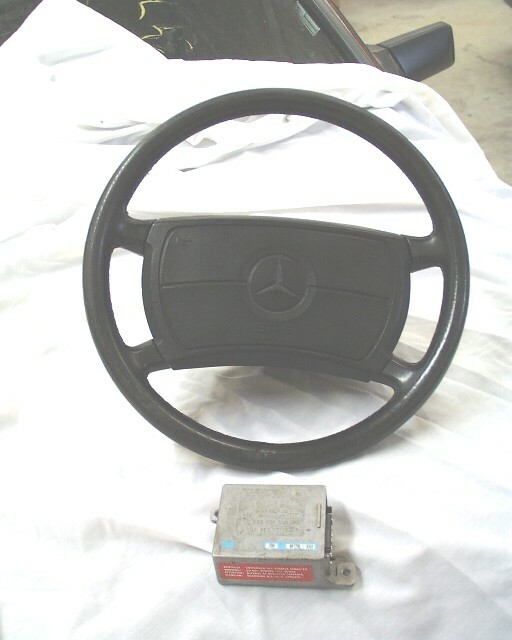 Airbag, steering wheel, "clockspring" and controller (Bosch #0 285 001 030; M-B #004 820 17 10). Fits many models.....check numbers & style (with or without attached wire and plug) on your controller. $200 set. 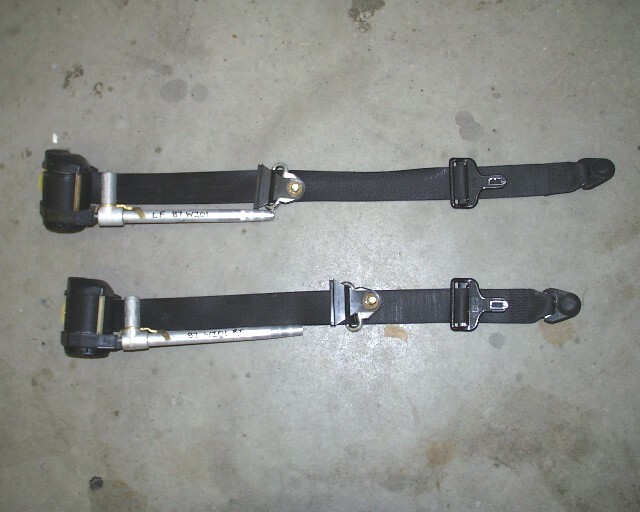 Left & right front seatbelts and retractors w/hardware. 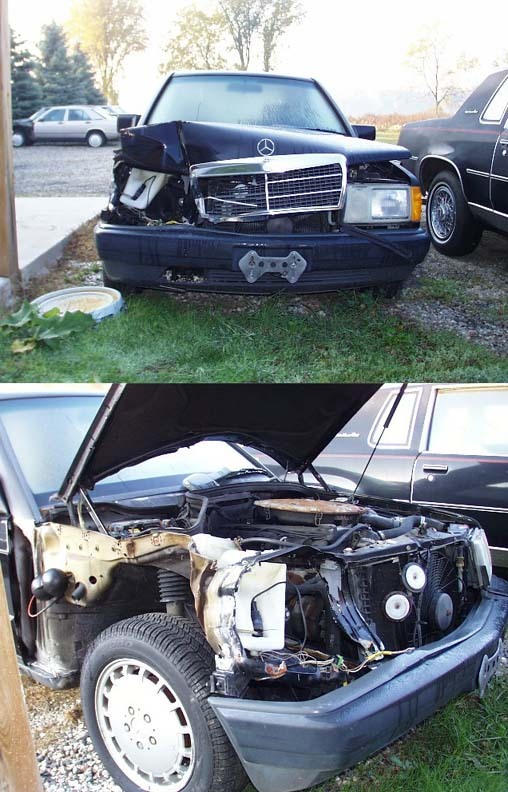 Fit most SRS-equipped Mercedes-Benz cars, and are often rendered useless after air bag deploys. Belts are clean, unfaded, and all plastic trim and hardware is nice. $100 pr. 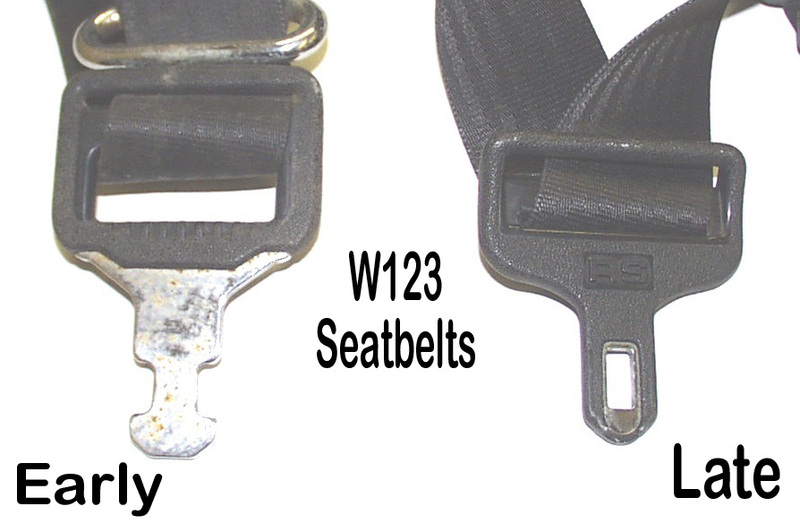 Numerous other W123 (early and late; see photo),W124 and W201 front and rear seatbelt and retractor sets available, also. Inquire with needs. 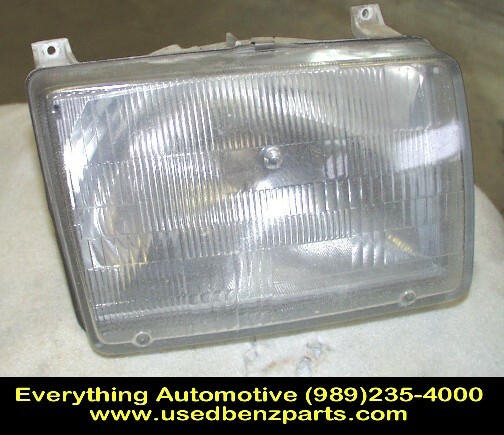 107 SL/SLC RH head/park light assembly. NIce condition, no damage to plastic parts. 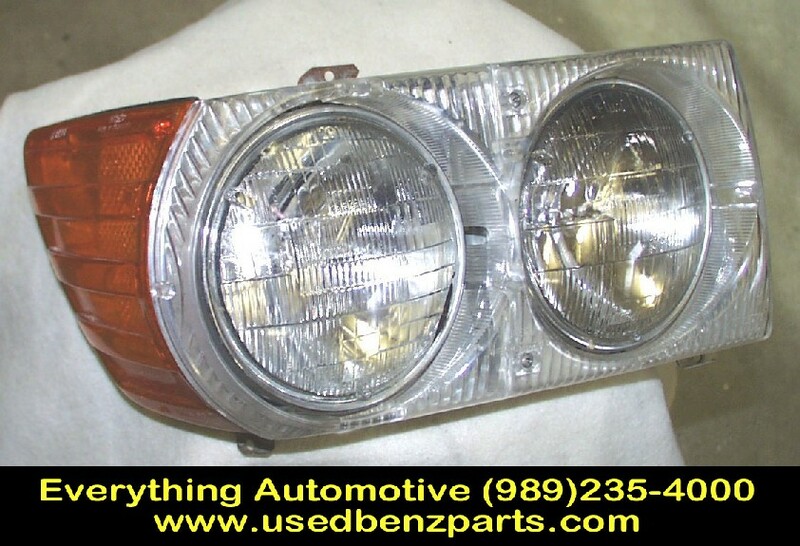 W201 RH headlight lens and capsule assembly. Fits all 190E/D '87-'93. No cracks, "bullseyes", etc. 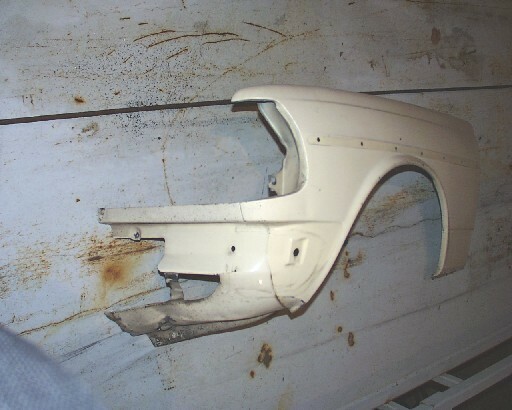 W124 sedan left rear quarter/pillar/fenderwell/floorpan "cut". 100% rustfree. Call....and tell me where to cut it, or come and get the whole thing. It's still on the rear half of the car. Cheap. 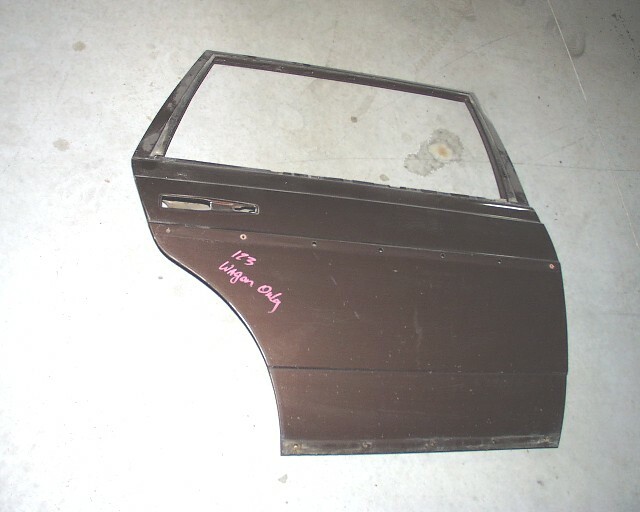 I bought a complete rear 'clip' some time ago to get one quarter, a taillight assembly, and a decklid. Here's a rare one. 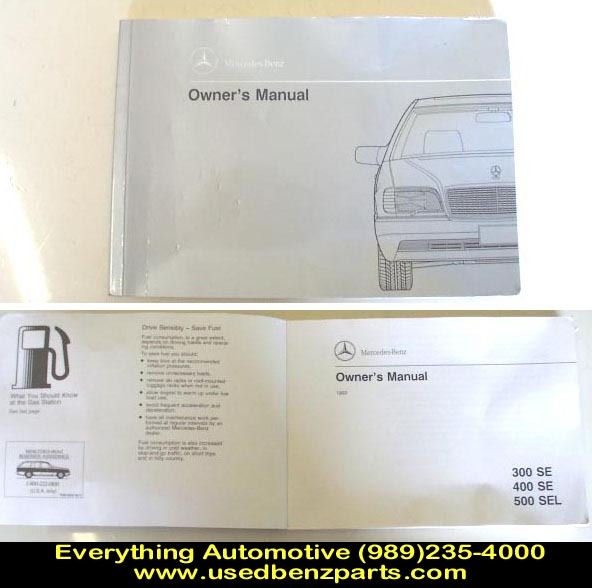 An original W115 owner's "parts book". Nice condition. Complete engines can be shipped common carrier. $100 crating charge. '90 2.6 (gas) complete less air filter assy. 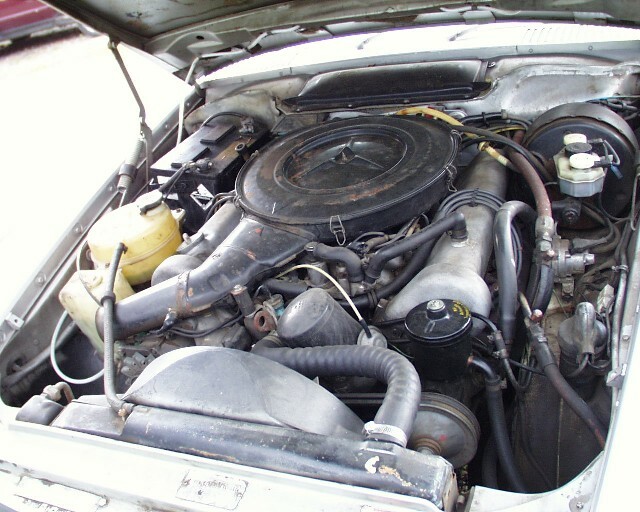 '76 2.8 M110 6 cylinder, EFI, from Euro-spec 280SL. Complete and running, but tired. 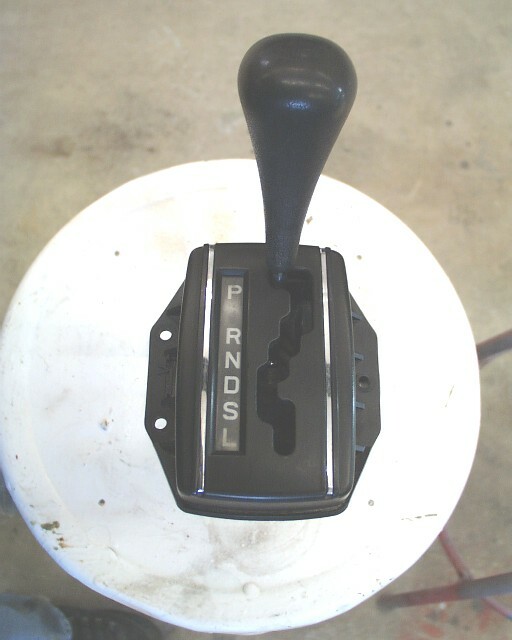 W/flywheel, bell housing, F/I controller/computer and 4-speed "stick" transmission. '81 300TD auto trans. Worked ok when pulled. Lotsa' miles. W/converter, as-is and cheap. $100. 14" hubcaps and "bundt" alloys, both 6" and 5.5". 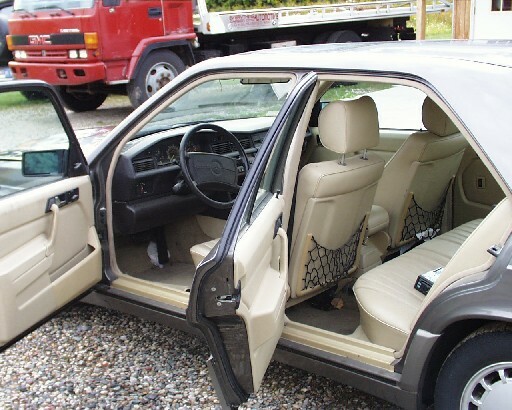 Full set of (nice) W124 trunk liner carpet panels. Lots of good starters, alternators, misc. 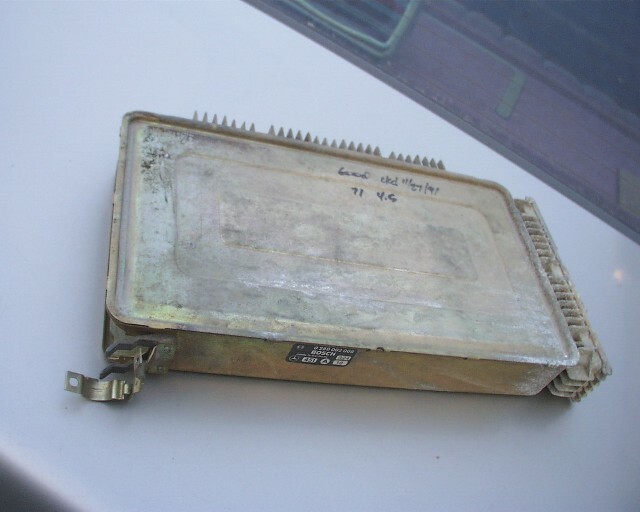 electrical bits for W201 and W123, both 240 and 300 series. 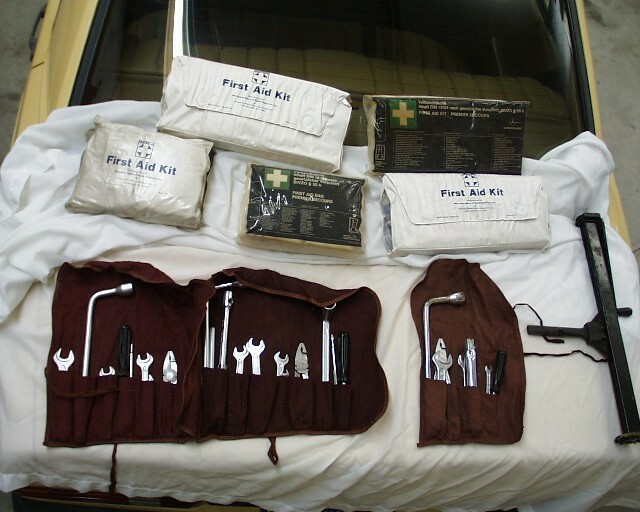 *Some* original tool and first aid kits. 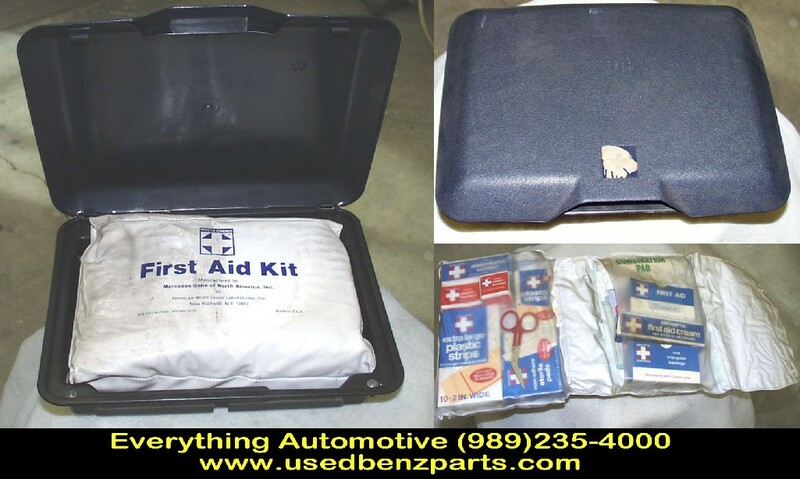 W123 Sedan first aid kit in (blue) package shelf box. Appears to be complete. 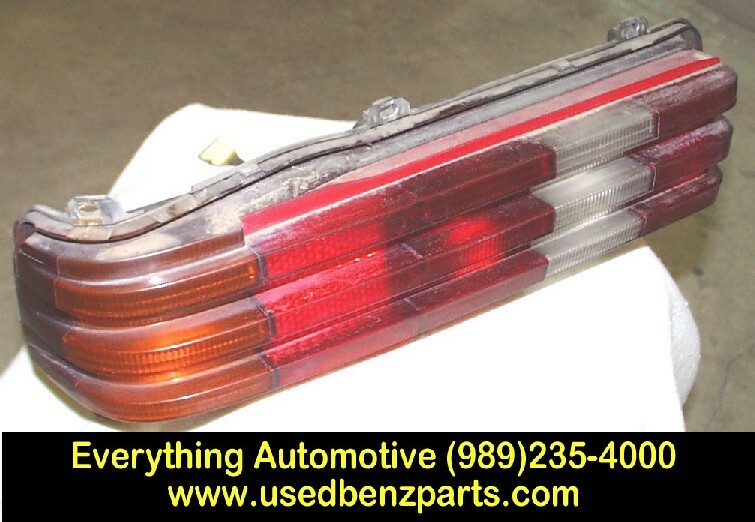 I have the "square" ones for W123 sedans, and the "long" ones that fit W123 wagons, W126 sedans, and virtually any post '85 model. Pricey, but nice. Here's a page of tool kits.